What makes you happy? Many of us think if we just made more money or could win the lottery, we would be happy. For some, our happiness is based on relationships such as marriage or friendships. For others, happiness revolves around sports. And of course, if we can’t find happiness in other things, we tend to search for happiness in CHOCOLATE! We all have personal issues that rock our world at times. Cancer, death, pain, strained relationships, heartache, and so many other things affect the happiness of our daily lives. Psalms 30:5 says, “Weeping may endure for the night, but joy comes in the morning.” Unfortunately that does not literally mean we will weep through the night and tomorrow everything will be ok. But instead it assures us that there WILL be a time of joy even in the midst of our trials. The happiness that things such as money, relationships, sports, and chocolate provide is NOT the same as joy. Happiness comes and goes, but joy is long-lasting and brings true contentment. Happiness causes short-term pleasure, but joy is long-lasting. Happiness isn’t something that you can cling to during the trials of life, but real joy endures the trials. True joy is only found through a relationship with our Heavenly Father. For Christians, joy is like a bottomless well of water. The water is always there, but we have to lower the bucket to get it. It takes effort on our part. We can’t just turn the knob and expect joy to flow freely. We must make the choice each day to lower our bucket. 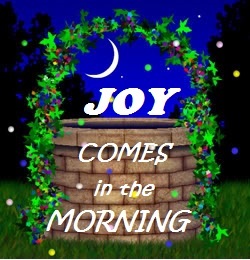 So how exactly do we get the joy into our bucket? Pray – When things are out of your control, pray as if every aspect of the situation hinges on your prayer. James 5:16 says, “The urgent request of a righteous person is very powerful in its effect.” Prayer is not a one-sided conversation for you to tell God what you want or how you feel. He wants to talk to you too, but often we do not take the time to listen. Read the Bible – Search for what God wants you to learn. Don’t just sit down to read quickly through a daily plan. Take the time to search for what God wants to say to you through those verses. Look for positive aspects of life – Each day make an effort to find one good thing no matter how desperate your situation. Record those blessings in a Gratitude Journal so that you can see and hold in your hand all the blessings He bestowed during the trials. Avoid whining and complaining – Instead of making you feel better, complaining actually highlights the negative, keeping it your focus, and just makes the situation worse. Serve others – Doing something for someone else in their time of need helps you forget your own troubles for a moment and increases your joy while decreasing your stress. Laugh – Laughing actually provides many benefits. It relaxes the body, relieves stress and pain, benefits heart and immune systems. Laughter really is good medicine. So watch a funny movie, hang out with a friend who tells stupid jokes, or whatever makes you laugh. Finally, guard your bucket. – Don’t allow Satan to steal your joy. He wants to rob you of your joy and will use anything possible to discourage us, cause us to worry, and even create doubt. We won’t always be happy, but we can still have joy in the midst of the chaos. If you have been blessed by this devotion and would like to subscribe, please click the link in the right column for Email Subscription or follow through the Strength Renewed Facebook page. Thank you! I needed to be reminded of this today. It made me feel better. Thank you for visiting my page, and I’m glad my words helped you to feel better. Your statement that joy takes effort is certainly true. That’s been my experience too. The question occurred to me: Why? Why would God require effort on our part to access His joy? The answer came quickly: We appreciate more what takes effort to gain. In addition, those 8 steps you’ve highlighted reap a host of other benefits as well. ‘Love #8: “Guard your bucket.” Indeed! Wrap it in arms of gratitude. 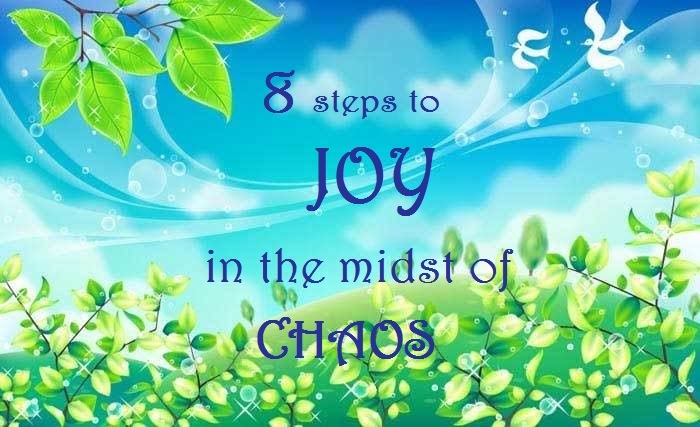 Wonderful post, Tresa, filled with wise ways to maintain a spirit of joy! Reblogged this on Strength Renewed.